America to Me explores a national crisis, but that’s just the beginning. The ten-part docuseries, premiering August 26 on the Starz Network, is a call to action. 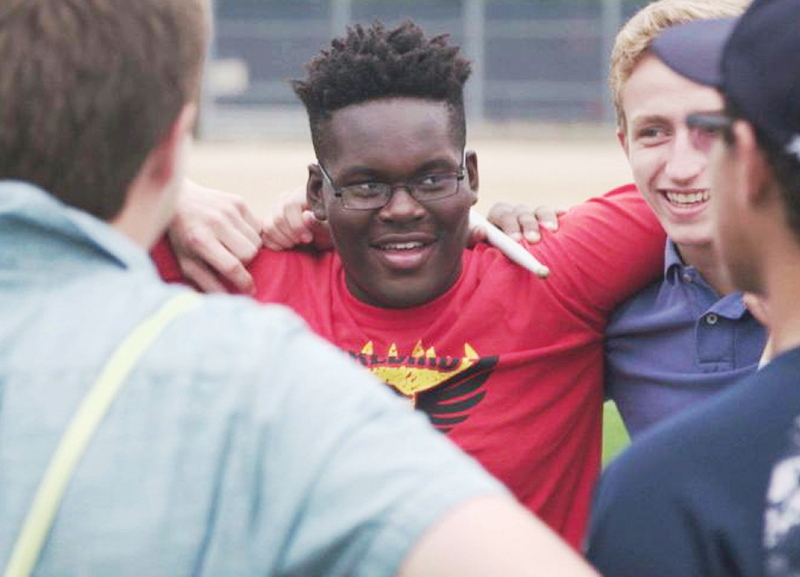 Covering a yearlong stretch in the lives of a dozen students from Oak Park and River Forest High School (OPRF), it begins with a montage in an educational institution that is recognized as one of the most progressive in the nation. During the sequence, a handful of African American kids explain why they attended a Black Lives Matter forum that the school hosted exclusively for them, while a few uninvited whites say that they may have wanted to go. 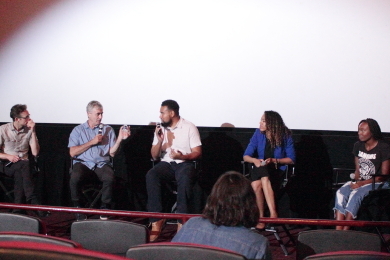 Racial issues appear throughout the first two episodes — which Chicago-based production company Kartemquin Films screened for an audience at AMC River East on Tuesday night. In one scene, an administrator declares that, “We are failing our kids every day.” In another, the narrator informs viewers that the school’s principal and dean refused to participate in the film. After completing the series and admitting that, “I was remarkably ignorant,” he realized that his work had just begun. James was part of a panel on Tuesday night that included Jessica Stovall, a former OPRF teacher who factors strongly into the first two episodes of America To Me. Stovall is now pursuing a PhD in Education at Stanford University. The situation borders on a crisis, no doubt. But Participant Media is working to alleviate the symptoms. Participant, credited alongside Kartemquin as the production company for America to Me, helps create audience engagement through entertainment that brings social awareness. It has developed a campaign called “America to me: real talk” that will complement every episode of the series with a discussion guide for watch groups across the country. The company also plans to screen individual episodes and conduct follow-up discussions in ten cities across the nation, including a Chicago event on October 26. After watching the first two episodes, however, it seems that finding a cure requires massive input from the students who are actually living through the dysfunction that has been thrust upon them. Fortunately, the kids in America To Me are awesome. Charismatic, funny, and articulate, they work for academic success and plan for the future while remaining totally self-aware. They also take James and his crew everywhere, from classrooms and hallways to cheerleading and football practice and even into their own homes. The resulting scenes of high school kids waking up at 5:30 in the morning to lose weight for the wrestling team or writing poetry to address highly personal issues are an immense dose of hope. Along the way, the OPRF students offer and accept their own opinions about race without malice or resentment. They make all kinds of white-kids-do-this and black-kids-do-that observations that effectively enhance the discussion. If these kids lead us into the future, we might just be okay after all. Thanks for this hopeful article. I have watched it now twice through completely, some episodes more. I was left with a swirl of so many feelings. OPRF doesn’t seem much different from my own high school experience as an African American student and not much different a generation later in the local schools in my liberal progressive county. Because of my varied and diverse interests, I delved into many subjects and a few school activities. I was a very good student, but it didn’t yield me many friends, not with the students of color because I was academic, and certainly not with the majority white students. I have never gone back, and never attended a high school reunion. I wasn’t their classmate. I was the shadow they moved around while they lived their high school years full of jollity punctuated by occasional sadness, real or imagined. I have worked for many years to remove barriers for students of color so they are able to have greater access to more rigor, earlier, and excel in school. But frankly, I’m not seeing the ‘better’ in our communities. Structural bias and racism are as entrenched as ever. OPRF Black and White students live differently tracked lives and that doesn’t seem to about to change. I do wonder if this article was written by a white or Black person, and would they be as hopeful if they were Black? The docuseries is not diminished in the least if you are not left with hope. It just tells the story, a truth most would rather not see or acknowledge.